Floorco International and its partners have invested in six world class manufacturing facilities throughout Asia. These facilities are strategically located in areas close to the supply of raw materials and low cost labor to enhance our competitive advantage. 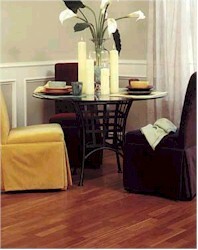 Floorco manufactures its own flooring products and markets them under the NobleHouseTM brand. Our senior management has been involved in manufacturing and marketing hardwood flooring and products for decades. Our annual capacity of over 40,000,000 square feet ranks us as one of the top manufacturers in the world.